Here’s the solution to repair Samsung Galaxy A3 A310F power ON/OFF switch problem. 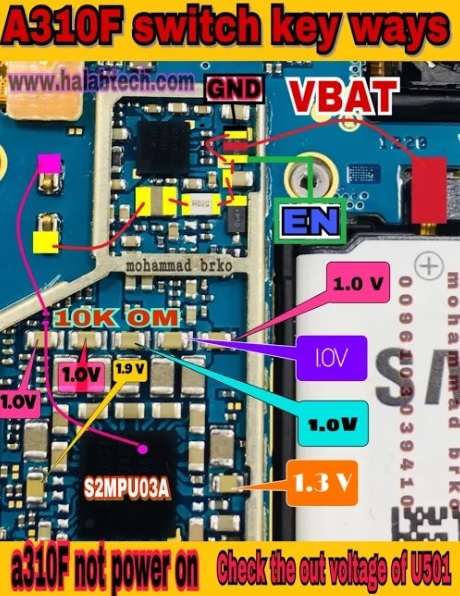 If you are facing a power problem in Samsung Galaxy A3 diagrams in this article can help. Continue with the following troubleshooting solutions and establish bridges necessary for the points that have been damaged.